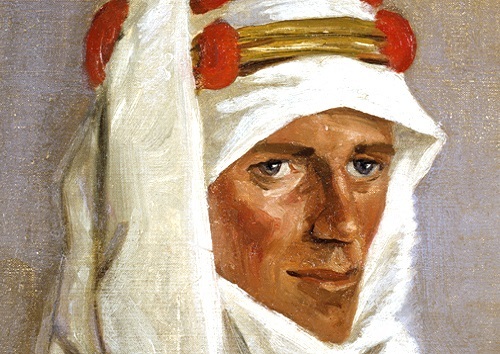 T E Lawrence played a central role in the outcome of the First World War in the Middle East. His own testimony in his famous war memoir Seven Pillars of Wisdom has now been ground-truthed by a ten-year archaeological field project. This provides a firmer base for examining his character, achievements, celebrity status, and endless cultural reconfiguration over the last century. These matters remain highly problematic, since Lawrence himself was both a Romantic and an Orientalist, and the many biographers, dramatists, and commentators who have contributed to his enduring fame have used his story to ‘imagine’ the Middle East in specifically Western ways. For a century, the evolving legend of ‘Lawrence of Arabia’ has reflected a distorted Western perspective on the region, its people, and its conflicts. This lecture will attempt to critique both T E Lawrence the historical actor and ‘Lawrence of Arabia’ the cultural construct as products of Western imperialism. Dr Neil Faulkner FSA is an archaeologist, historian, writer, political commentator, and occasional broadcaster. He is the author of countless articles, numerous papers, and a dozen books, including, most recently, Lawrence of Arabia’s War (2017) and A Radical History of the World (2018). He has directed field projects in Britain, Jordan, and elsewhere, including the Sedgeford Historical and Archaeological Research Project in north-west Norfolk, and the Great Arab Revolt Project in southern Jordan. He wrote the ‘script’ for the successful exhibition Shifting Sands: Lawrence of Arabia and the Great Arab Revolt at Newark’s National Civil War Centre. He is currently setting up projects at Cassino in Italy, to investigate the Second World War battlefield, and at Almeria in Spain, to investigate the archaeology of David Lean’s Lawrence of Arabia film locations. This event is open to all and free to attend, donations welcome towards CBRL’s Post-Graduate Travel Grants. Seating is unreserved – the lecture room seats 120.